I have recently been thinking about my time in Korea and missing it dearly. 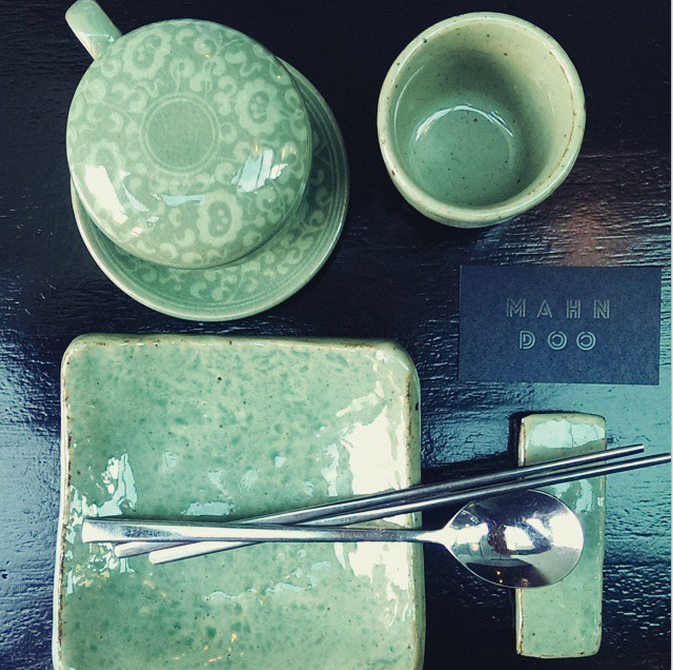 My husband and I decided to try out a Korean Restaurant in Melbourne that I often walk past called Mahn Doo. It was delicious and the flavours and sounds took us back. We had spicy BBQ Pork, Pork Mahn Doo (Korean Dumplings), Bibimbap and Pajeon. When I was teaching in Korea we often drank Barley tea. There was a communal pot of it that we would help ourselves to after lunch and it was the perfect end to a meal. A cup to savour over, while we digested our meal and chatted about the day, taking a few mins to prepare for our next class. I will have to head to the Korean supermarket and get some for home. I also loved the cover on the tea cup. I drank half before my meal, popped the lid on while I ate, then drank the other half. Click here for more about the benefits of Barley tea. This entry was tagged barley, Korea, Korean Tea, MahnDoo, Melbourne, tea. Bookmark the permalink.